I have a sore throat today so I’ve been thinking about lemon and honey. But these versions are not yummy, they are just kinda cool. 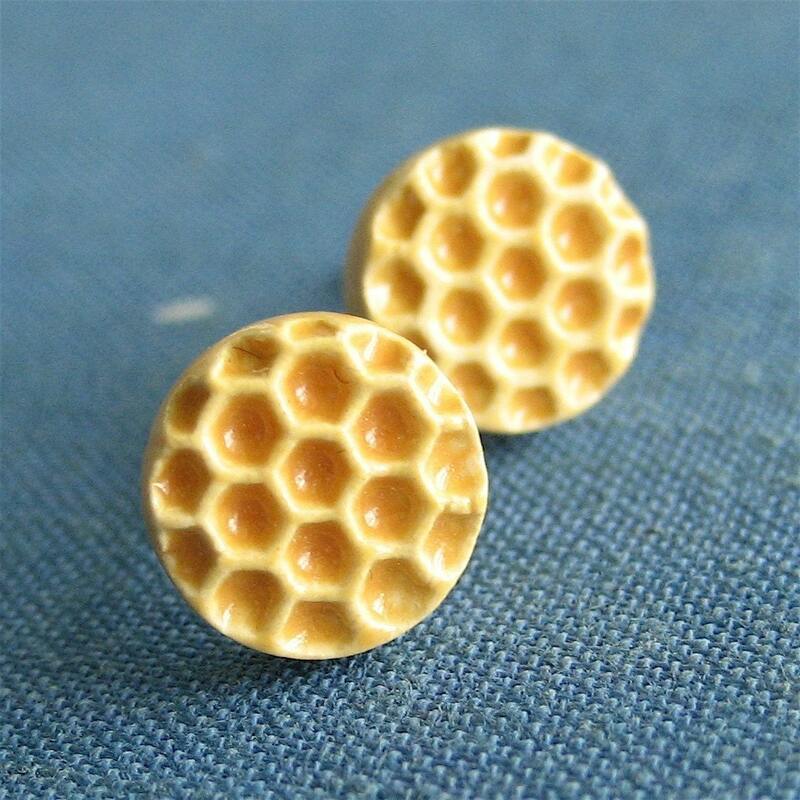 Honey comb ring from soflamasri at etsy. Dripping honey pot wind charm from Uncle Big Bad’s World of Whatever. Lemon slice earrings at Abataba. Vintage lemon earrings by RobinsEggBlue at Lemon Treasures. Lemon wind chime from Silk Flower Depot. It’s all very interesting, but I still have a sore throat.. maybe if I add some ginger? Ginger root plush from GoBuggy at Etsy. So here I am, haven’t not posted for 2 weeks. 14 days. So lazy am I. I just have days were I don’t feel like posting, and sometimes it feels like too much work. So my normal catch up solution is to do all the posts at once. But that seems a bit ridiculous for some reason. So instead I’m gonna try out doing 2 posts a day for two weeks. My other fear for this site is that I might start posting double ups, loving something so much that I forget I’ve already posted about it. So if I do any double ups and someone points this out, well, I guess I’ll try to do a new post. That could be my favourite breakfast! I mean, who doesn’t like lemon and wedding cake on the side for breakfast? 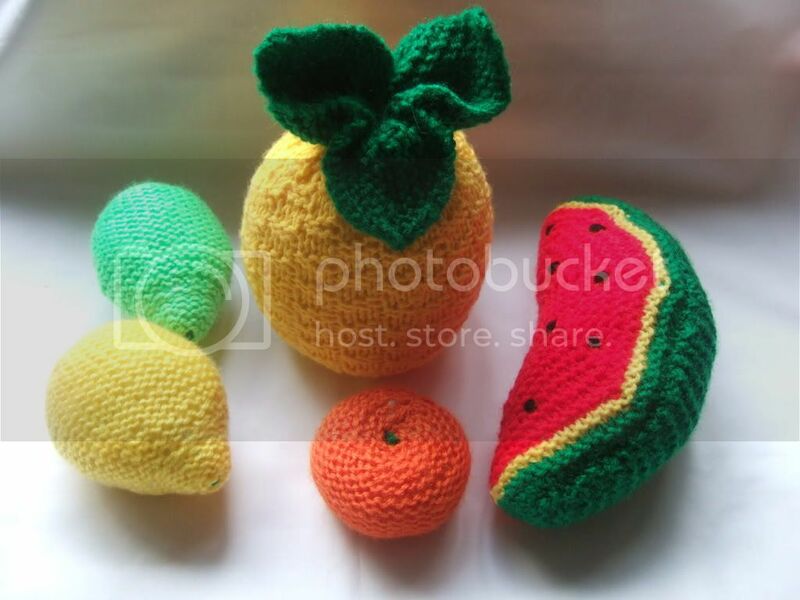 From TrulyScrumptious, you can buy these cute knitted fruit sets. Thanks to Omi for sending me the link. How refreshing it would be to wash up here! Vintage Fruit Crate labels from Vintage Holiday Crafts. I forgot that I had seen this in a while, but here is Neil Cicierega’s (of Harry Potter Puppet Pals fame) song featuring toy food. Not real food. Do not eat. And now to go crazy entering all the tags…. 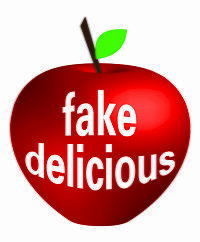 Content © Fake Delicious. Proudly powered by WordPress. For best results, please view with Firefox. Stats: 28 queries. 0.418 seconds. Valid XHTML, Valid CSS, XFN. "Red Delicious" theme by Nicki Faulk. Background courtesy of Country Clipart by Lisa. Stock image for header by Creapril.